Goodness, even cash-in remakes from the seventh generation can't hit 1080p on the Xbox One. I guess, to be fair, Metro 2033 and Metro: Last Light are easily two of the best looking games in recent years. Running them on the highest settings on PC is next-gen.
Polygon has confirmed from Ukrainian developer 4A Studios that Metro: 2033 and its sequel, Metro: Last Light, will be getting the new-gen redo treatment as a double-pack of games releasing for the Xbox One and PlayStation 4 this summer as Metro Redux, running at 60fps on both systems, but it will be 1920 x 1080p on the PS4 and only 1600 x 900p on the Xbox One. The game will receive “minor” graphics upgrades, but the first game has been dumped over into 4A Studios' latest game engine, so it gets some tweaks to the lighting and shaders, enabling the game to look even better than it did the first time out. Less loading times? Larger levels? Better lighting? Higher resolutions (for the PS4, anyway)? Well, that's pretty slick. I must admit... that's pretty darn slick. At this stage in the game I suspect that many Xbox One owners are coming to terms with having paid more and having gotten less. The $500 beast will at least be getting a price cut this June, along with free entertainment app access that will no longer require Xbox Live Gold. Nevertheless, running last-gen games at less than full HD is just embarrassing. In fact, it's more embarrassing than Kendell Jenner's flub at the Billboard Music Awards, or Arthur Schopenhaur publicly talking down the possibility of light bulbs after they had already come into existence. Now the real kick to the gonads is that even at the $399 price point to compete with the PlayStation 4, the Xbox One is still offering less. 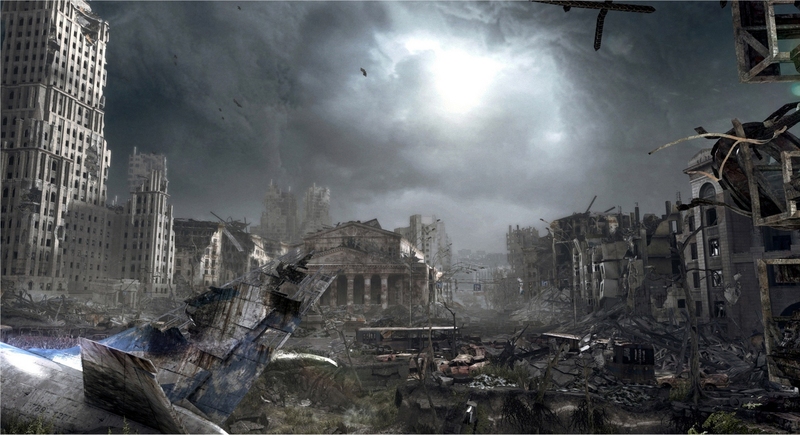 You're getting cut in the render-rate on Metro Redux by 633,000 pixels. To put this into better perspective: If you stacked up a bunch of PlayStation One units side-by-side, the Xbox One would be three units short of the PlayStation 4. If they were wrestling promos, the PS4 would be Stone Cold Steve Austin and the Xbox One would be the Brooklyn Brawler. In sociological terms, that's three steps down the economic barometer, meaning that it puts the Xbox One squarely in the confines of being on welfare. However, a bunch of people love the Xbox brand and they are desperately hoping that when the DirectX 12 full SDK tools become available it might help boost the Xbox One out of Xbox 720 territory and into Xbox 1080p territory. Unfortunately, that won't become a reality until 2015... assuming it even becomes a reality. Still, the price-cut and addition of external hard-drive support is at least two steps in the right direction for the Micro 'S'. I'm just hoping they can get more games out for the system, because right now the Xbox One is being outclassed in software support by the Wii U and PS4 like Pakistan outclasses Israel with illiteracy. If they can get some indie support aid in there it might help... outside of having two third-party indies available and the promise of more games “coming soon”. Anyway, you can look for Metro Redux to launch this summer for the new-gen twins. Thankfully, the hospice-bound seventh generation consoles aren't on the release schedule, so that's a bit of a relief.